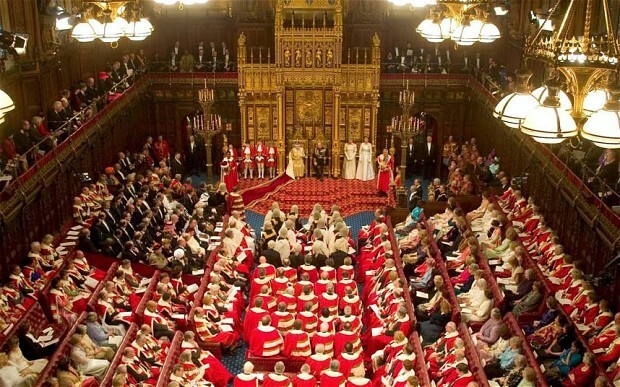 The Queen’s Speech – was it enough? Short answer, definitely not. Two years ago David Cameron entered Downing Street and the Times led with a front page “embracing change” – its a shame that the Queen’s speech didn’t embrace the change we were hoping for. The speech did however, establish that the Coalition’s first priority is still cutting the deficit and growth was hardly anywhere to be seen. Instead we got promises on constitutional reform and proposals to invade our privacy. Cameron argued that this was a Queen’s Speech to rebuild Britain with economic recovery at the centre of the government’s plan. This speech should have focused on unemployment and growth, however, it was lacking in anything concrete to help the 2.67 million people looking for work. True, the Enterprise and Regulatory Bill will make it simpler to hire staff, but it will also make it easier to dismiss them, certainly not a long term solution to to the unemployment problem. Rather than a grocer’s quango we should have seen bills to help small businesses compete against super markets and other such corporations. The only mention of investment was the set up of the green investment bank, although a good idea, one has to question why it won’t be accessible til 2016? Investment is needed now to create jobs and restore growth, and the simple fact is, the Queen’s Speech fell short on delivering this. I’m rather concerned that there was no mention of education or apprenticeships. Labour often talk of a lost generation, although this might not be completely true, it is definitely true to say the Conservatives run the risk of losing a generation of voters if serious steps aren’t taken to get young people into work. Today saw another strike; up to 200,000 public sector workers took to the streets in a protest against plans to change pensions, a row which is bound to get worse as the speech committed the government to pushing ahead with the controversial proposals. Controversial, but necessary, as people live longer retirement ages must rise and pension commitments will change – its a reality and one which public sector workers will have to get used to. Unfortunately, what the speech did contain a lot of was pointless policies such as House of Lords Reform and excessive surveillance laws. Rather than following through with his commitment to support gay marriage, Cameron dropped it from the speech and is instead picking another fight with the Party over an issue no-one outside of Westminster really cares about. Moreover, after promising to reverse Labour’s big brother style of government, it seems we have decided to go one up on Labour; with plans to spy on skype conversations and civil courts to sit in secret. Hopefully these bills will either be rejected or significantly watered down, if not, it says something worrying about the direction our country is heading down. So was it enough to restore economic and political stability; as I said in the beginning – no. It’s interesting that for a Prime Minister who is such a follower of Tony Blair, that he would ignore his lessons. Blair spent the first term using his political capital on vote winners such as the national minimum wage, NHS investment and education reform, helping him secure a landslide second term. Cameron on the other hand seems determined to waste the political capital he doesn’t have on policies that won’t win votes. While Cameron has received a battering in the polls followed by Thursday’s disastrous results, Boris Johnson on the other hand won a second term and is without a doubt the most popular man in British politics. All this has left many tories wondering whether it might be time to return Boris to Parliament and put him in Downing Street. So should we give Cameron another chance to rebuild a winning narrative or instead should we allow Boris to work his magic on a national stage; who is best to lead our party? My answer…neither. There appears to be a consensus developing that Cameron has run his course as Prime Minister and leader of the Party. For two years he has survived on two arguments; one that there are no strong contenders to replace him and secondly that his leadership was vital to keeping the fragile Tory/Lib Dem Coalition together. Lets look at the latter first, Cameron for the first few months appeared statesman like, balancing quite well the needs of the Liberals with that of his party and dealing with the Liberals was what we all thought would be the big problem. However, two years on and its our own backbenchers causing the headache for Cameron. Consequently, whether or not Cameron can keep the Liberals in check no longer matters, if he loses the support of the backbenchers its 1990 for Dave. Although I would agree that no real stronger contender to replace Cameron has emerged, Major succeeded Thatcher and in many ways the change of leadership style contributed to victory in 1992. So why not Boris? In my opinion Boris on a national stage would not go down as well as it does in London, in fact I bet there are many Labour members hoping he becomes leader because he is very easy to attack as “same old tory toff”. In London he has had the advantage of almost total control over administrating his manifesto – if he was to become Prime Minister he would have to contend with not only the coalition but also a Labour Party that would be more difficult to defeat than Red Ken. Saying this I would find it very difficult not to support Boris if he did run for leadership, however, I feel in their heart of hearts members know Boris Johnson Prime Minister is unlikely to happen. Moreover, this is a shift to the right which I don’t think would win the next general election, we need a less divisive leader; another Etonian is not the answer. The Party requires a leader who not only appears in touch, but can actually relate to the public. One of Thatcher’s main selling points, was, that she was a grocer’s daughter, the same can be said for Major; while Kinnock held rallies, Major was on his soap box in Brixton. Unfortunately much of the social mobility achieved by Thatcher and Major within the party has been lost in the years following their departure. So who will lead our Party after Cameron? I personally would like to see what Prime Minister Gove would mean. He is by far one of the most competent members of the cabinet and I think would be a common sense leader, but that’s just my opinion. One final word on Cameron, he needs to remember that the Party, more specifically the Parliamentary Party removed Thatcher after three election victories once she started to look less electable, so he is by no means safe. 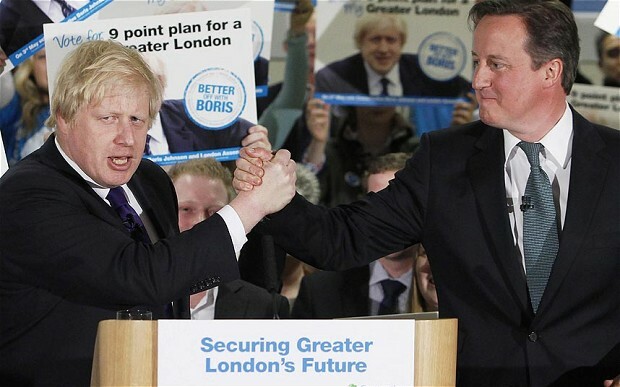 In the aftermath of Thursday’s local elections the Conservative Party is left with a difficult choice – which path to take on the route to 2015? I write this blog reflecting on my own personal disappointment at the Tories in government while considering the wider context of Thursday’s defeat. Since the tail end of 2011 it seems Cameron and the Coalition have been becoming increasingly out of touch with the public. This is a worrying trend especially if it means the electorate follow the examples of the Greeks and the French today and turn to Socialism. I feel the Government’s obsession with sticking to Plan A is foolish and will result in disaster both economically and eventually politically. Of course deficit reduction is needed, however, this needs to be complimented with growth; without growth the economy will never recover and neither will the Party. Victory in 2015 is still possible but a change in direction is desperately needed. What options are there to resolving the deep problems facing our party, how can we become electable again? I suppose we could just shrug it off, its mid-term blues – every party in government goes through them, and if we had a hundred seat majority I might agree with this conclusion. However, this is not the case, action needs to be taken to address this while we still can. Some factions within the party believe we should retreat to the right, championing traditional conservative values and standing on a eurosceptic soap box. This knee-jerk reaction would achieve nothing, the average person doesn’t want to see a back to basics Tory Party, they’re more concerned with job security, fuel prices and fearing their children will not have the same opportunities they had. The real problem is that we haven’t modernised; Cameron’s modernisation was a PR exercise of political evasion; he focused on media tactics, personality attacks and reminding us every five minutes that it’s Labour’s fault. Whether this is true or not no longer matters, people don’t care what did, they want to know what Cameron plans to do about it. I keep on hearing my conservative friends complaining that they want a true Tory PM – I want a pragmatic PM and I want conservatism and pragmatism to be two sides of the same coin. The different route I feel we need to take on the journey to 2015 would compliment austerity with growth, while dropping some of our unnecessary reforms. For example, the NHS debacle has already cost £3bn and raises by £1m on average everyday, very few want this change and the money could most definitely be better spent improving NHS facilities rather than bureaucracy. The same can be said of Lord reforms and elected mayors; costly, unnecessary and I wouldn’t say unwanted, I feel the public is apathetic towards these issues far more concerned, quite rightly, with the economy. Growth in the economy is key to victory in 2015 and to get growth we need to be more actively encouraging business. As a party with the values we claim to hold, I have never understood why we always raise VAT. Its damaging to small businesses and discourages the public from spending, an immediate cut to VAT will help our fragile retail market recover. Further incentives in corporation tax and national insurance should be used to help new businesses, the whole of the UK should be an enterprise zone; with the rest of Europe turning to socialism Britain has a unique opportunity to become the Hong Kong of Europe. However, the state will have to get involved with some sort of stimulus packet. Investment in public infrastructure would create the necessary temporary jobs while the private sector recovers. Moreover, education needs to better equip students to compete in a global market returning to vocational courses and real apprenticeships. And finally the Conservatives should once again be the party of small business, the focus of our economy needs to be entrepreneurs not monopolies. Our government currently believes that cutting alone is enough, however the double-dip recession and rising unemployment proves that further action is needed and Thursday’s election result confirms the public agree. Election victory in 2015 is not impossible; not only has Labour got a huge challenge to return to government, let us remember 20 years ago the Tories recovered from Poll Tax to receive the largest popular mandate in electoral history. The need for change is clear, both for the party and the country, however, the real question is whether Cameron will act, or will a change in direction also require a change in leader?